This month, we are celebrating the 75th anniversary of the Liaison Committee on Medical Education (LCME), the accreditation body for medical schools. 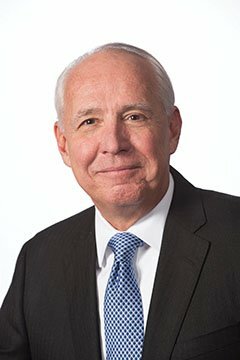 When I became the dean at the Medical College of Georgia, I was only vaguely aware of the LCME, having spent the early part of my career at the National Institutes of Health. But I quickly learned about the role and process of the committee when I was told that I would be greeting the LCME site visit team on my first day as dean! I was impressed with the site visit for two reasons: the focus on quality and the collegiality of the process. These two characteristics have been a constant thread in all my experiences with the LCME. Before the LCME was formed in 1942, the AAMC and the American Medical Association (AMA) accredited medical schools separately. As the nation mobilized for World War II, the federal government wanted to shorten the length of medical school and increase enrollment to quickly prepare new physicians for military service. Leaders at the AAMC and the AMA were concerned that graduates of the accelerated curriculum would not be prepared to provide high-quality, safe patient care. In response, the AAMC and the AMA came together to establish the unified LCME, ensuring that medical schools maintained high educational standards, while meeting the nation’s need for more doctors. In the time since then, the LCME has been essential in assuring that American and Canadian medical schools produce graduates of the highest caliber. Between 2002 and 2006, I served as a member of the LCME, and I had the privilege of cochairing the committee from 2004 to 2006. During that time, I saw a relentless focus on the highest quality standards. There were also a number of new medical schools being established, so I gained a perspective on the challenge of maintaining standards without stifling innovation. Now after 12 years at the AAMC, I have seen the LCME adapt to keep safety and quality at the forefront of its accreditation process, while simplifying standards and supporting innovation in both new and existing schools. My experience with the LCME and the AAMC has been a tremendous education in how medical schools are answering the call to evolve their curricula to prepare future physicians, improve community health, and respond to public health concerns. Society has changed dramatically in the 75 years since the LCME was established. We have faced new public health challenges and seen dramatic research and medical advances. Throughout all of these changes, the LCME has guided medical schools as their curricula evolved to keep pace with changes in society. Moving forward, the LCME will continue to be a major force in shaping the next generation of physicians. The LCME anniversary presents an opportunity not only to reflect on the committee’s history, but also to look ahead with an eye toward making medical accreditation as relevant and valuable as possible. LCME standards and elements require MD programs to demonstrate that their graduates exhibit professional competencies—which will serve as the basis for their lifelong learning—as they enter the next stage of their training. Regular, thoughtful review of LCME standards from the medical education community ensures that curricula continuously evolve to meet current and future needs. This component of the accreditation process results in a tremendous benefit to medical schools, residency programs, future physicians, and the public at large by assuring that new physicians will be prepared to practice high-quality medicine in our ever-changing health care environment. As we celebrate the anniversary of the LCME and reflect on its role in medical education over the last 75 years, we also have the opportunity to look to the future and think about what the next 75 years will mean for the LCME, its stakeholders, and for medical education more broadly. The commitment to high-quality education that led AAMC and AMA leaders to establish the LCME will continue to be at its core. We are in a time of remarkable transformation in health care. As we face new challenges and possibilities together, it is up to the entire academic community to ensure that meeting societal needs and maintaining quality of medical education and patient care remain a primary focus of LCME accreditation.